Sale Barns Directory - Page 4 - O Horse! 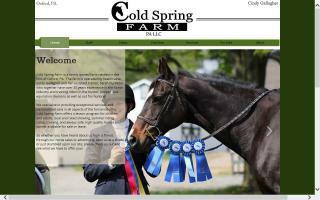 Cold Spring Farm is located in Oxford, PA, in Chester County. We offer full and field boarding, lessons, summer riding camps, and quality horse and pony sales. We also show throughout the year from local through USEF AA horse shows. We specialize in the hunter and equitation disciplines. Please visit us online or give us a call for more information on any of our services! 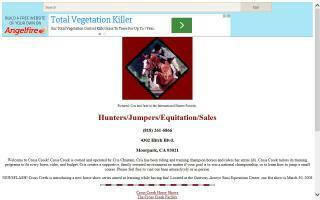 Full service hunter/jumper facility offering boarding, training, lessons, and sales. Safe lesson horses and ponies. Local and national show opportunities. A full service hunter jumper training center at the world class Del Mar Horsepark. 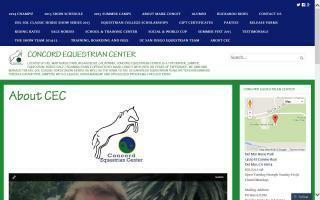 Established over 20 years ago, Concord Equestrian Center, owned by head trainer Mark Conley, is also the home of the UC San Diego Equestrian Team and the Del Sol Classic horse show series. Concord trains beginners through Grand Prix. A premier full service boarding facility with two on-sight instructors that offer training and lessons in dressage, stadium jumping, and eventing. We also have quality horses for sale that are trained in these disciplines. Pierre Cousyn specializes in dressage training and teaching, from Training Level to Grand Prix. Pierre places great emphasis on the importance of basic skills, even at the highest levels of dressage. Coyote Run Farms is a quiet, serene, equine facility dedicated to exceptional horsemanship, care, and our clients. C.R.F is home to Professional Trainer and instructor, Jess Chapin. Jess is dedicated to the horses and clients alike. Her extensive equine experience and wonderful teaching and training style make her clients and horses successful in any discipline, in and out of the show ring. C.R.F offers boarding situated on 40 acres, with a large indoor, outdoor, miles of trails, cross country course, 12 x 12 box stalls, spacious paddocks, chemical free hay, and customized schedules for each individual horse, as well as blanketing, Blue Seal and Nutrena feeds, and so much more. Lessons in English, Western, Hunter, Jumper, Dressage, Driving, proper horse handling, Showmanship, Horsemanship, and decoding the equine language. Safe lesson horses, all levels of riders, and freelance instruction available. C.R.F offers many other services such as: Sales, Leasing, Consulting, Exercise Riding, Birthday Parties, Trail Rides, Showing, Hauling, and more. "If it's Equine, We offer It"
Horses always for sale. Daily trail and pony rides from 9am-6pm, all 7 days of the week. Birthday parties. Summer camps. Corrals, round pens, stall mats, and trailers. Affiliation with rescue organizations. Riding lessons. 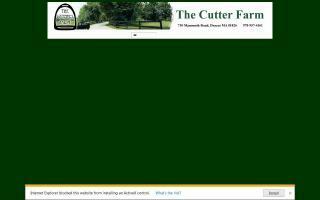 Cutter Farm horseback riding, eventing, boarding, and training in Dracut, Massachusetts. Cypress Bend Farms a new hunter-jumper facility (as of July 2009). 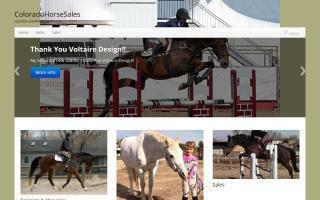 We offer: boarding, training, showing, lessons & sales. We are located in Odessa off of Rack Track Road. Cypress Bend Farms is a beautiful, all-grass farm with lots of turn out and large oaks trees. The farm also has a trail the goes around the horse community. The barn has 13 stalls and hot/cold wash racks. Two huge fans are hung above stalls. Two tack rooms. Owner lives on property, providing 24-hr care. The 10 acre farm has 2 large paddocks & 2 smaller round pins for individual day/night turnout with 3 board wood fences. The grand prix field has a show quality course of jumps, which were all hand built. Facilities include a walker for cooling out the horses! 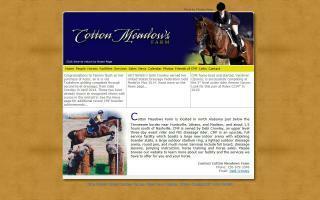 We specialize in jumpers, hunters, and equitation horses. This beautiful facility offers all the amenities of a show-barn, plus the individualized care that your horse deserves. Cypress Bend Farms is the place for motivated riders, beginners to advanced.